You have built a raptor. The frame and head are solid. The tail magnificent. The lights and skin stunning. Now all you have to do is put it on a human body and…. it doesn’t fit the performer…. So, where did we mess up? During our prototype stages we relied on the use of life size renderings and our own bodies to build our puppets to scale. This worked well to help us create a sense of proportion and balance that we were comfortable with, and was necessary due to the fact that no performer had been cast yet. Another factor may be that our first prototype was built on an older, shorter harness which is no longer sold in stores, and the harnesses that are available, which our second and third prototype was built on, are longer and built more for a taller male frame. This week we were able to get one of our performers in our prototype, and we discovered that these factors had led us to a major problem that we had not yet anticipated: the harness was about 4″ too long. This difference in length put major pressure on the lower back of the performer and hindered their ability to move. It also presented us with a challenge to address in the future: How do we shorten the harness and still keep the proportions? 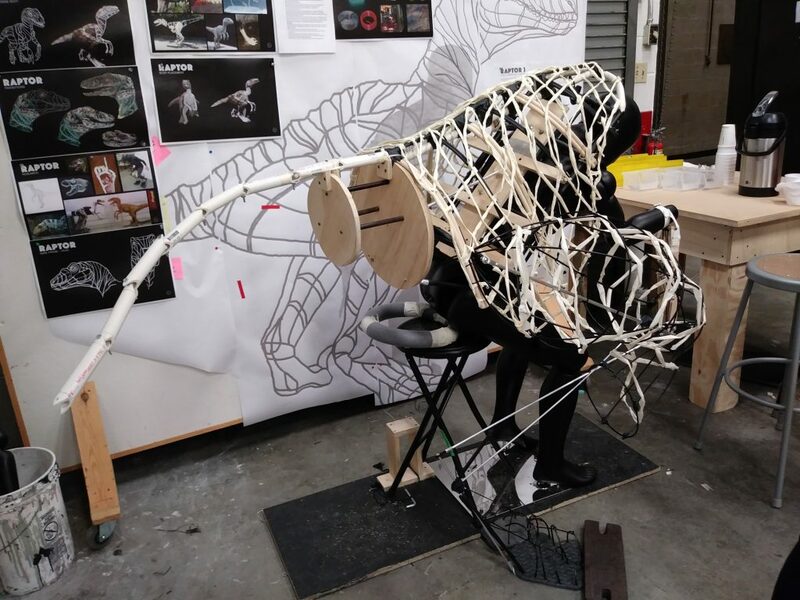 The harness is the foundation for the entire lower half of the puppet, so the idea of having to chop off 4″ from our frame and proportion seemed like a daunting idea at first. However, after talking with the performer and the team a solution was found in relatively short order. One of our performers graciously volunteered to spend time with us in the lab to help us at every step to make sure the fit was comfortable. We now have the measurements for two of the performers with a third on the way. With the Center back to neck measurement, we will be able to closely estimate the size of the harness before we begin building on it. We will cut the harness in the middle and create a telescoping feature on the pipes so it will be easy to adjust the harnesses to fit not just these performers, but maybe future ones as well. We can add grommets to the straps to bring them in and control length. 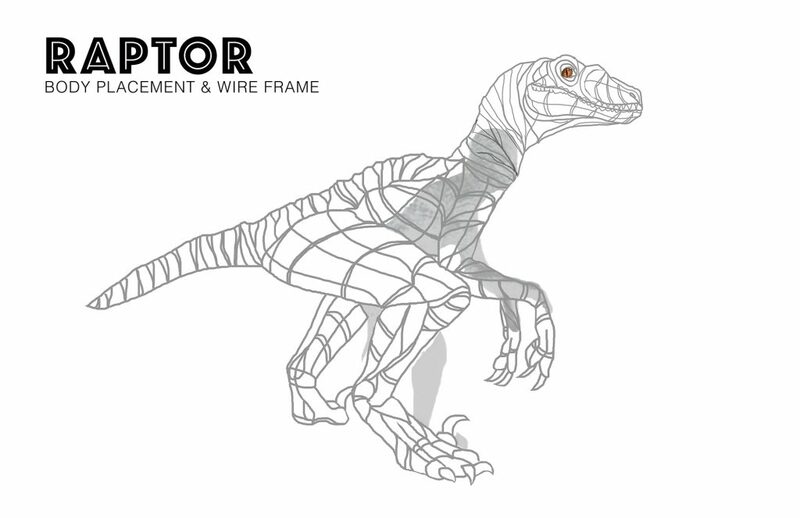 With this experience, moving forward we will now be thinking of the performer, just as much as we will think of the raptor.